Since 1984, Optix has been the preferred eyecare clinic and vision center for eye doctors, exams, service, designer frames and contact lenses. Click on the video below to hear what our eyecare clients are saying about Optix…. Optix Family Eyecare provides a full service state-of-the-art eye care center. Our Doctors are leaders in eye care education and are dedicated to staying on the cutting edge of eye care technology and treatment. We perform all of the essential eye exams necessary for early detection of eye issues and correction. Optix has one of the largest selections of vision correcting frames and contacts on Long Island. 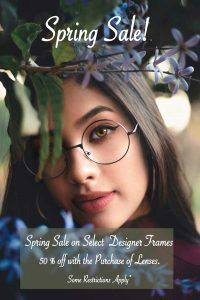 From reading glasses for farsightedness, to fitting you for extended wear contact lenses, we will assist you to determine which type of eyeglass frames, lenses and contacts that suit not only your medical needs but also your fashion preferences. 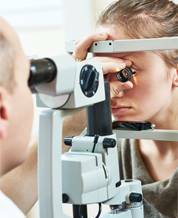 Annual eye exams can help diagnose eye problems before they become serious. Yearly eye examinations are essential for your eye health and best vision. 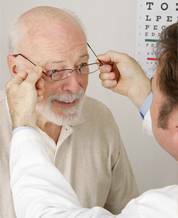 We recommend annual eye exams even if you believe your eyes are healthy, because some eye diseases don't cause symptoms. So schedule your follow up visit today at Optix. 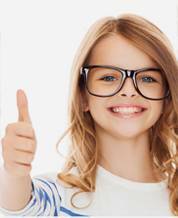 Feel comfortable with the eye doctors and staff at Optix Family Eyecare. We have an eye for better vision. All the eye services you need for better and healthier vision now and in the future. Call or stop into Optix today for an eye exams, eyeglass frames, lenses, contacts and more. We can see that what the future holds for you, and that’s better vision. Serving patients from Woodbury and all of Long Island with first-rate eye care and eyewear, our friendly team can’t wait to see you! If you’re travelling by train, the Long Island Rail Road will get you to Jericho conveniently from the Syosset station nearby. Only 29 miles from Midtown Manhattan, this historic hamlet is situated within easy access of many popular New York attractions.